SACRAMENTO, Calif. (February 28, 2019) — Sacramento Republic FC announced today they will host two nationally broadcast matches at Papa Murphy’s Park this season as part of ESPN’s Game of the Week schedule for USL Championship. The club’s July 3rd match against regional rivals Fresno FC will be aired nationally on ESPN3, while their August 7th game against Eric Wynalda’s Las Vegas Lights FC will be broadcast live on ESPNews. It will be the first time Republic FC hosts two matches on the ESPN network and first time the club has a game broadcast live on a national cable channel. 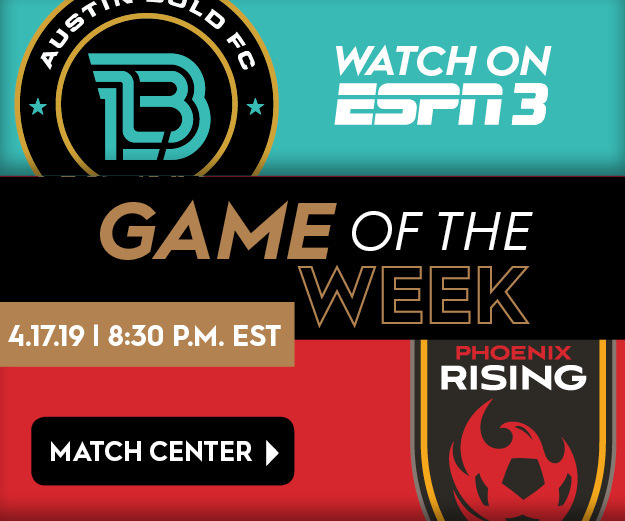 Republic FC’s August matchup against Las Vegas Lights FC was originally scheduled for August 10, but has been moved to Wednesday, August 7, to be part of ESPN’s Game of the Week slate. In addition to the Game of the Week schedule, all of Republic FC’s regular-season contests will be available in the U.S. through ESPN+, which also broadcasts Serie A, Major League Soccer, the English Football League, USL League One and UEFA Nations League, as well as numerous other competitions from around the world. Locally, a record 26 of Republic FC’s regular-season matches will also be broadcast live via KQCA My58 and Estrella TV Sacramento. The club’s full TV schedule is available at SacRepublicFC.com/club-schedule. Republic FC kick off their season on March 9 at 7:30 p.m. at Papa Murphy’s Park in Cal Expo against Real Monarchs SLC. Tickets are available via Ticketmaster.com.